It’s simply a rectangular beam cast monolithically with the slab shaped as T.
1. Since the beam is cast monolithically with the slab, the flange also takes up the compressive stresses which mean, it will be more effective in resisting the sagging moment acting on the beam. 2. Better head room, this is direct outcome of the first point since the depth of the beam can be considerably reduced. 3. For larger spans, t beams are usually preferred rather than rectangular beam as the deflection is reduced to a good extent. 1. There is a considerable increase in the shear stress at the junction of the flange and the web of the beam due to the change in cross section. So casting should be done very carefully to ensure both are bonded well. 2. 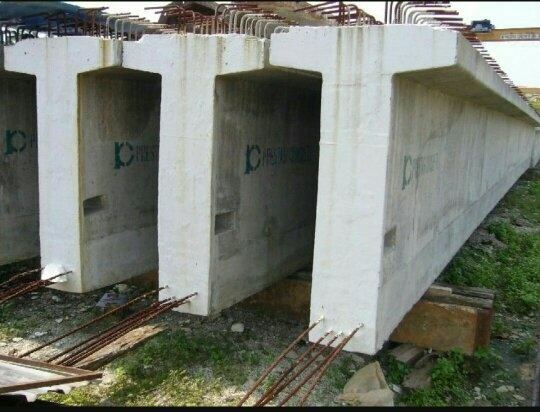 Since the beam slab is monolithic (rigid), it becomes very weak in resisting lateral shear forces. (cracks develops quickly). Hence usually in earthquake prone zones using t beams for high rise building is reinforced with mechanical stiffeners in the junction. 3. There will be small savings in steel too (not a significant amount though). If you found this article helpful then please subscribe to our newsletter. Thank you.